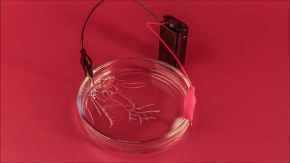 A snake made of carbon grows from a tablet of calcium gluconate! 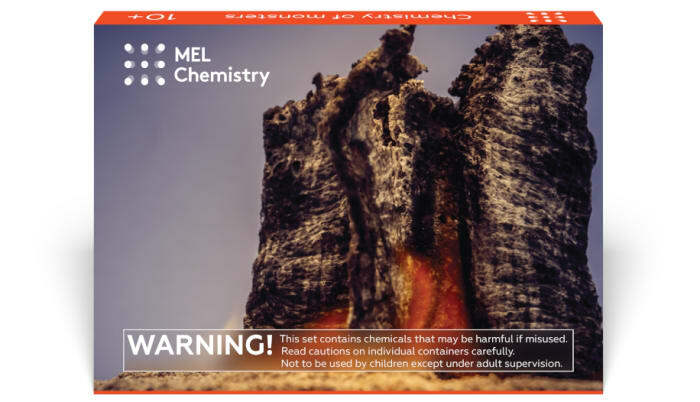 This experiment is included into "Chemistry of monsters" kit along with "Foam eruption". Subscribe and get everything you need to do this experiments at home. Conduct the experiment on the plastic tray and in a well-ventilated area. Keep a bowl of water nearby when working with fire. The flame of the solid fuel is almost colorless. 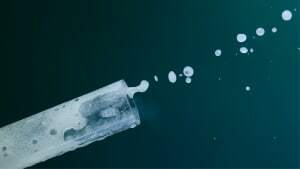 To make it more visible, mix the solid fuel with baking soda, NaHCO3, which contains sodium ions. These will turn the flame yellow. One spoon of the mixture will be enough. 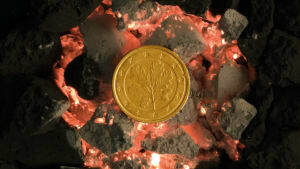 Heat a tablet of calcium gluconate in the flame. When heated, calcium gluconate melts and decomposes with the release of carbon dioxide and water vapor. 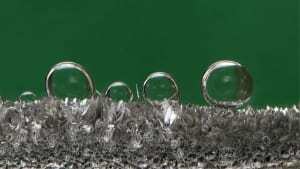 As a result, foam is formed. It burns, producing solid substances, which solidify in the form of a snake. 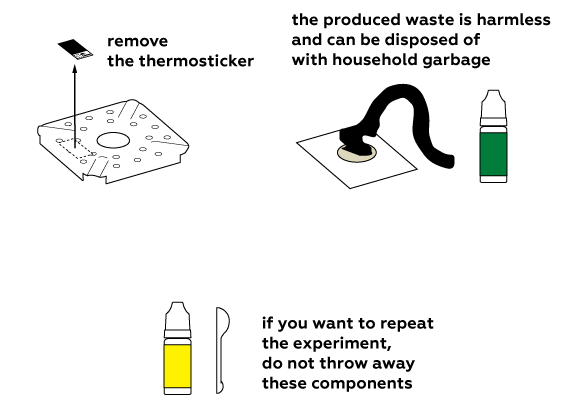 After the experiment is over, do not forget to disassemble the setup and utilize the waste. How does the snake form? When heated, calcium gluconate (C12H22CaO14) melts and decomposes, producing a lot of carbon dioxide and water vapor. But in order to combust completely, it would require a much greater supply of oxygen than is available to it. Other complex processes take place at the resulting high temperatures due to the fact that the flow of oxygen to the inner parts of the gluconate tablet is hindered. These processes include the decomposition of gluconate, which produces carbon and water vapor. It is this decomposition, yielding carbon, that gives us our carbon "snake". In other words, the grey foam resembling a little snake consists of some carbon and other products of calcium gluconate’s decomposition. And this foam forms because a lot of carbon dioxide (as well as some gases that form when the solid fuel burns) and overheated water vapor move vigorously through these products. Why do we mix baking soda (NaHCO3) with our solid fuel? First, the solid fuel (also known as urotropine) burns with an almost-colorless flame that is hard to see, which could be dangerous! This is easily fixed with the addition of a sodium compound. Sodium ions, when overheated, make the flame the bright orange. Baking soda is added to bread dough to make it rise, and it plays a similar role in this experiment. The carbon dioxide and water vapor that is given off make the snake light and airy, which also helps it grow. What is this "snake" made of? 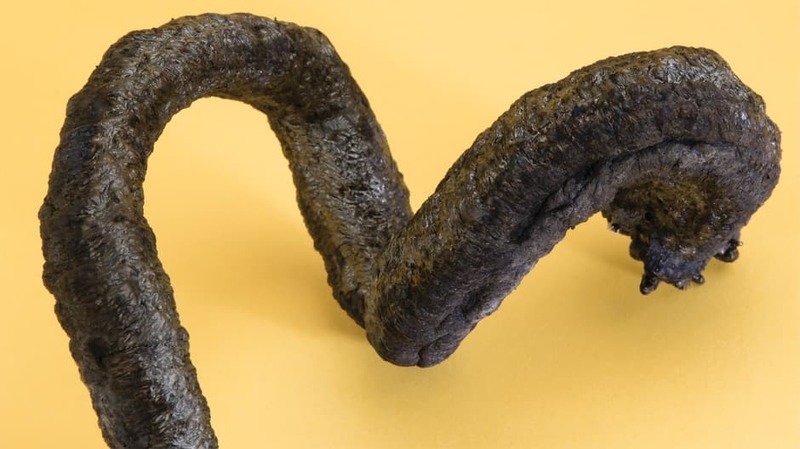 The "snake" consists mainly of unburnt carbon from the heated calcium gluconate. The carbon is what makes the "snake" black. 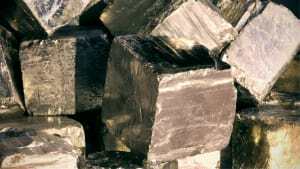 It also contains sodium carbonate Na2CO3, which forms as the baking soda decomposes in the heat, some calcium carbonate CaCO3 obtained from calcium gluconate, and some CaO which is the result of the latter CaCO3 thermal decomposition. In this case, when we say solid fuel, we mean hexamethylenetetramine or urotropine. This substance is not very complicated, even though its name is. It consists of 6 carbon atoms C, 12 hydrogen atoms H and 4 nitrogen atoms N. It is written as C6H12N4. Urotropine burns almost completely and is pretty stable in air. For this reason, it is widely utilized by campers, hobbyists, the military, and relief organizations to heat canned food and military rations. And, as opposed to wood fires, urotropine does not fear water! This is perhaps good for campers, but experimenters beware! Don’t use water in an attempt to extinguish urotropine. If the flame is controlled, as in our experiment, just let it burn down completely. But if something goes wrong, cover it with a metallic (fireproof and NOT glass) pot to cut off its oxygen source. Normal fires will die out without oxygen from the air or other sources. How does the thermosticker work? This sticker’s main purpose is to react visibly (and reversibly) to heat. This sticker consists of a yellow picture coated with black dye. When such a sticker is heated (in our case, to 60-70oC), this black dye undergoes some chemical changes and pales, allowing us to see the yellow picture underneath. And when the sticker cools down, the dye reverts to black. This is a reversible process; you can heat and cool this sticker many times. This is especially helpful when working with heated glassware. More often than not, heated glass doesn’t differ visibly from unheated glass. Attaching such a sticker to glass before your experiment will ensure that you never make a mistake and grab an overheated object with your bare hands.